We help you escape data chaos. The management of golf groups has proved to be complex and difficult. Each golf club is different and customers differ according to regions and management concepts. The professional management of golf courses or golf groups has therefore turned into a key success factor for companies operating in the golf sector. 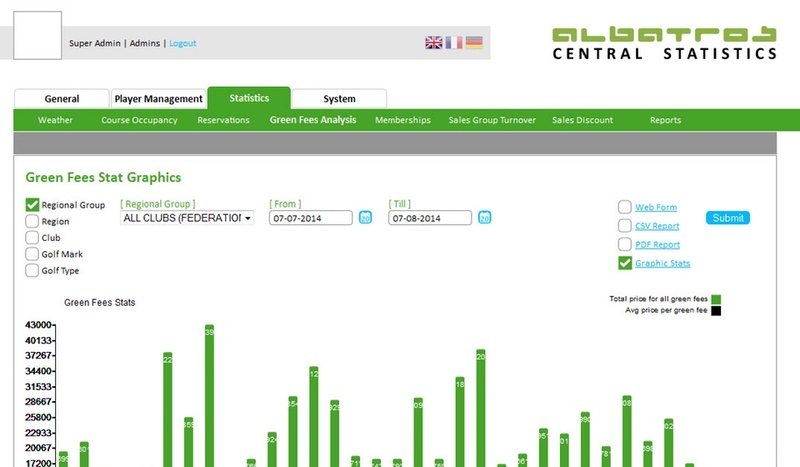 Albatros has recognized this trend early and has been developing individual statistics and reporting solutions for golf courses and groups for many years. Figures represent a useful instrument in managing golf companies. Due to the distance separating golf courses, real-time reporting and evaluation create added value in the daily management of golf courses. Define the key performance indicators relevant to your company and track them in real time. Grant team members access to the entire reporting or to selected areas. Unless reportings reach key decision makers, their full potential has not been realized. For this reason, Albatros provides numerous tools to send and share reports. Large amounts of data and annexes tend to be confusing. 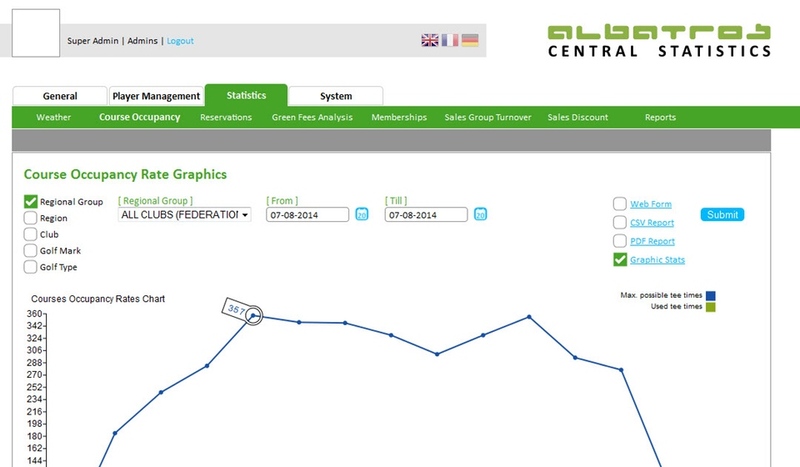 Albatros offers comfortable tools to make sure that you maintain a clear overview on the subject of “Big Data” in golf. Create and configure reports according to your preferences. Albatros represents data protection and data security. Statistics and reports comply with data protection regulations and are protected from unauthorized access.